The consumer persona around us is continuously changing and evolving. To keep up with these changes, retail technology companies must become more forward-thinking and innovative than ever. 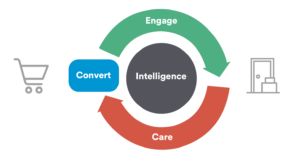 It would be impossible for brands to predict needs and purchases of the consumer without the help of intelligence. To keep up with the booming industry of e-commerce, traditional brick-and-mortar stores are having to adopt digital innovations. What are brands doing to further create a bond between the effortless experience of shopping online, and the intimate experience of the physical store? They’re creating platforms to merge the two desires by creating a seamless customer experience. Booming retail technology companies have quickly noticed this new trend, and are immensely capitalizing on this customer desire. The old business model for retail store locations (and online) focused solely on the products being sold. In our modern digital space, consumers have shifted their focus from the product itself, and only the experience that is centered around the brand (or product). It’s obvious that this trend is driven largely by Millenials and Gen. Zers. in which their attention is centered more on the preference of experiences over things. 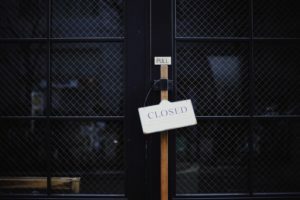 According to a recent article published by Forbes, almost 3,800 stores are expected to close by the end of the year due to the lack of social change. Stores that have continued to thrive have done so by adapting their overall business model, and have shifted their marketing efforts to create an experience for the consumer. For example, Sephora has adopted this new trend by creating a mobile app and other activities that are completely unrelated to making a purchase. Likewise, Samsung hosted a $43 million pop-up that featured new products, yet did not have any for sale(!!!). The continuous adaptation of retail technology trends is pushing brands to evolve and produce innovative experiences – in order to generate and retail consumer attention. The customer cycle. Image courtesy of NARVAR. 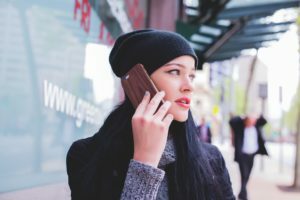 Retail technology companies like NARVAR (who is also an NRF bronze sponsor) is working hand in hand with retailers to increase customer engagement by featuring post-purchase experience that work to retain, engage, and create an overall positive impression between the brand and the consumer. This company boasts about delivering effortless tracking, communications, and even seamless returns. They have the partnerships to back it up, too. NARVAR is working with top brands like TOMS, Sephora, Patagonia, Home Depot, Gap, and Bose. Despite the significant closing rates of traditional brick-and-mortar retail locations, they’re still pertinent to the overall sales funnel. A keynote is that the primary point of sale has transitioned to being only a part of the much broader retail marketing strategy. Instead of relying only on a single touch point, retail brands have has to widen the gap in which they capture and convert leads. Take for example the division between Baby Boomers and Generation Zers. A study found that only 11.8% of Gen Zers shopped on Facebook, while 25% of Baby Boomers do. On the other hand, Millennials preferred shopping by products they found on Instagram and Snapchat. Multi-channel marketing has proved to be necessary for traditional brick-and-mortar stores to survive in our digital world. Let’s face it, the marketing is young, and businesses must recognize this skew and adapt. According to their site, ARMIS “enables physical retailers to do local advertising at scale” with their AI-powered platform. Their technology allows physical retail shops to grow in-store traffic using digital media, and therefore compete efficiently with the likes of Amazon while leveraging their most powerful asset: brand and brick-and-mortar stores. (ARMIS). Digital signage is often discussed as a tool to improve physical, in-store experiences with customers. However, digital signage is a tool that goes beyond just offline experience; it’s a key to creating hybrid offline and online experiences. 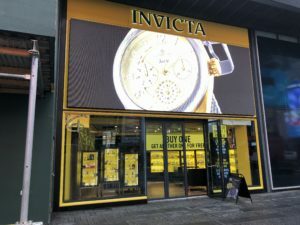 At face value, digital signage simply seems like a high-tech replacement for traditional ads in-stores but this is not true. Digital signage capabilities span beyond just promoting ads. Digital signs can be used to bring the online shopping experience in-stores. Product Reviews. Digital screens can be used to display online positive reviews and customer photos. Displaying these in-stores confirms to in-store shoppers that other people like the product and recommend it to others. This is powerful since 92% of consumers will believe recommendations from friends and family over all forms of advertising (Nielsen). Social Media Engagement. Digital screens can be equipped with social media walls. These walls can display hashtags, social feeds and more to engage customers. The best part – social media walls engage both online and offline consumers. For customers in stores, they can post photos of the latest products while shopping which can then be seen by customers online. 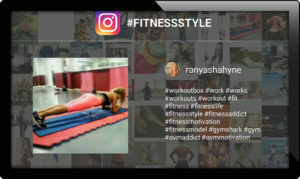 Similarly, customers online can post photos of products they own and show how they use them which can then be seen by customers in-stores. Social media displays are a great connector between online and offline experiences. 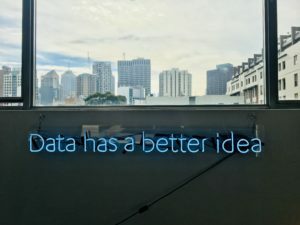 Combined with artificial intelligence, the digital displays can also promote products available in stock, or on the contrary, report items that are out of stock. Overall, there’s going to be amazing retail technology companies presenting their best solutions at the 2019 NRF. It’s going to be one expo that you don’t want to miss out on. Want to see how our digital signage solution in action? Click here to schedule a live demo with one of our developers at the NRF.